Fantastic opportunity in desirable Village Acres. Spacious two bedroom home, both with ensuite bathrooms, two large living spaces, and a breakfast nook off kitchen. 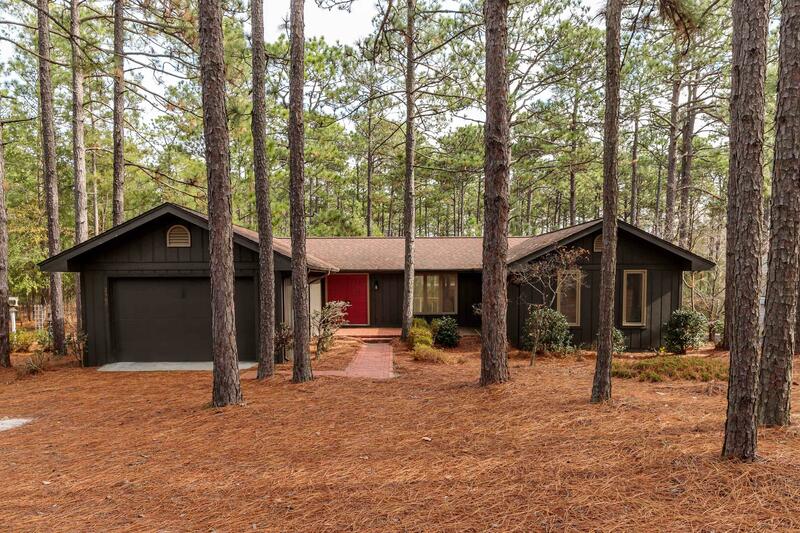 This location is unique, as it backs up to the wooded greenway of Pinehurst #8, which offers privacy that is unmatched. Large back deck provides outdoor enjoyment. One car garage with laundry and ample storage space. This is a nicely maintained home!